We started making our Hi-Torque gear reduction starter motors in 1988 and now offer them in 1.9, 2.5 and a whopping 3.3 H.P. models. They are all fully adjustable for header and oil pan clearance. Models are available for Chev S/B, B/B & V6 (L/H mount is also available). Ford Windsor, Cleveland, FE, Sidevalve, 429 & 460, Holden V8 & 6, Chrysler V8 & 6, Harley, Olds/Chev Diesel, Marine, Jaguar, Porsche, VW, Industrial & many other applications in plain or chrome finish. See the price list below. We repair and service all brands of conventional starter motors and keep a large range of spare parts in stock. Starter motors listed are 1.9 H.P. or 2.5 H.P. unless otherwise stated. All are available in optional show quality chrome (add $200 extra). We can custom build 12 Volt or 24 Volt starters to almost any automotive, marine or industrial application. If your Vehicle is not listed below in most cases we can provide a custom built starter to suit. For more info go to our Custom Starter Information Sheet here... If more information is required please phone or Email us. We can also ship anywhere in Australia or Worldwide. Click on image icon to see a photograph of the product or More detailed.... for more information of the product. 1.9HP starter body length is 165mm from mounting bolt center or flange to back of housing. 2.5HP starter body length is 185mm from mounting bolt center or flange to back of housing. 3.0HP starter body length is 200mm from mounting bolt center or flange to back of housing. The starter body length can vary + or - 10mm. 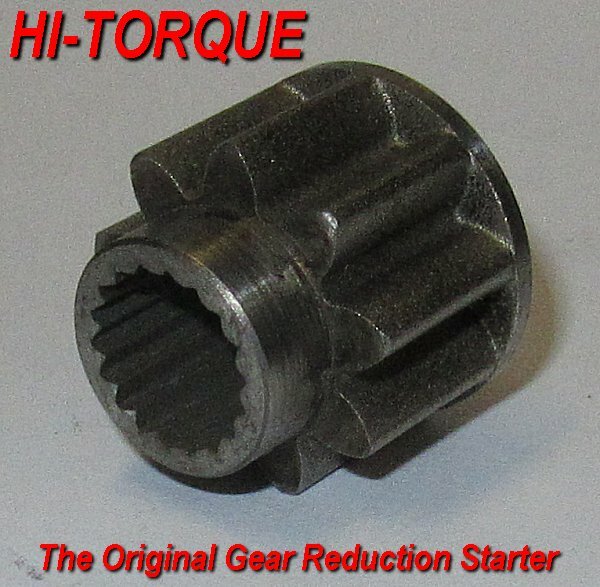 The Original Hi-Torque Starter website www.hitorque.com.au. Designed and Assembled in Australia by Australians.